Arduino is a hardware and software company that designs and manufactures single-board microcontrollers (tiny computers) and interactive electronic kits for building digital devices that can interact with the physical world. After Arduino started to become popular, other companies joined the race and started making Arduino kits with the same Arduino integrated development environment (IDE) but with their own microcontrollers. Elegoo is one of several companies that is involved in the design, manufacturing, and marketing of branded Arduino kits. Arduino is a family of microcontrollers, like tiny computers, based on a simple input/output board and a development environment that enables you to create programs that can interact with the physical world. Arduino is basically a tool for building tiny computers that can interact with the physical world. Arduino platform is based on three main components: the Arduino board, external hardware, and the Arduino integrated development environment (IDE). These components work in tandem to enable you do just anything with your Arduino. All the things you make with Arduino can see and respond to sound, touch, light, vibration, etc. This type of technology is used in all kinds of things from cell phones to automobile electronics systems. Arduino projects or electronics kits are one of most interactive ways for kids to learn about electronics. Elegoo is an open-source hardware and software company that develops and sells branded Arduino electronics kits. Located in Chinese Silicon Valley, Shenzhen, Elegoo specializes in open-source hardware research, development and production of Arduino kits. It is a renowned manufacturer of Arduino electronics kits which is also involved in the development, production, and marketing of Raspberry Pi accessories, 3D printers, and STM32. Elegoo is a thriving technology company that sells electronics kits at budget-friendly prices. The most basic and a cheaper Arduino project for the beginner is the Elegoo UNO Project Basic Starter Kit which is a fun, interactive way to play with electronics. This is the best example to learn about basic structure of an Arduino program and a fun Arduino project for beginners. – Arduino is an open-source hardware and software company specialized in development and marketing of interactive electronic objects. The company manufactures single-board microcontrollers (tiny computers) and interactive electronic kits for building digital devices that can interact with the physical world. Elegoo is yet another big name that designs and manufactures branded Arduino electronic kits. It is also involved in the development, production, and marketing of Raspberry Pi accessories, 3D printers, and STM32. Elegoo specializes in open-source hardware research, development and production of Arduino kits. – Arduino is not just a name; it’s a combination of hardware and software environment designed to build computers that can interact with the physical world around you. With Arduino, almost anyone with no software or electronics experience can build objects that can respond to and/or control light, sound, touch, vibration, and movement. With Arduino, you can start building prototypes with very little investment and learn about the basics of electronics. Elegoo is a thriving technology company that sells electronics kits at budget-friendly prices. It’s one of the many companies that sell Arduino kits. – Arduino is basically a microcontroller platform like a simple computer that does exactly what it’s instructed to do. Arduino is best known for its hardware, but you also need software to program that hardware. The software is free, open-source, and cross-platform. There are several Arduino boards available out there. Arduino Starter Kit is the most common and the basic starter kit for beginners that comes with a project book with 15 projects with step-by-step instructions and components to build them. Elegoo UNO Project Super Starter Kit is one of Elegoo’s most popular starter kits for beginners interested in Arduino programming. – Arduino UNO is one of the most popular and widely used boards among the whole Arduino family based on the ATmega328P chip which is the brain of the Arduino. It consists of 14 digital input/output pins, 6 analog pins, a 16 MHz quartz crystal, and a USB interface. 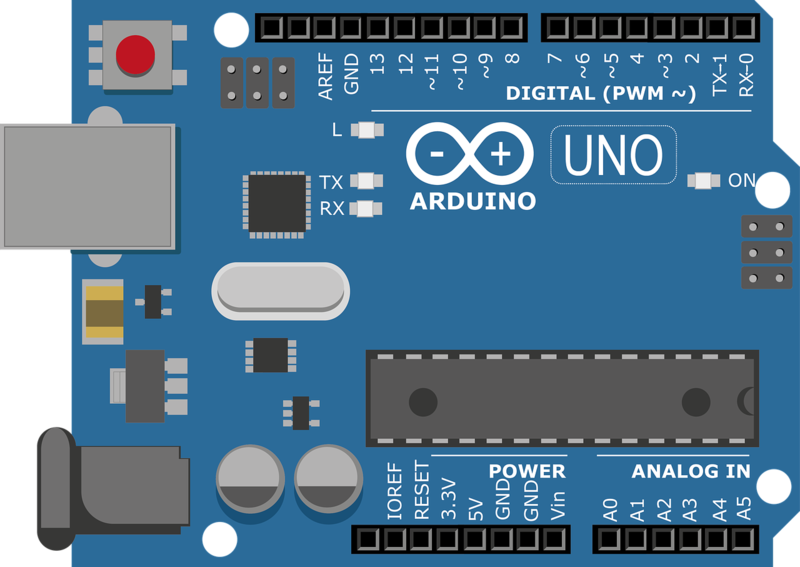 Arduino UNO is the most economical option if you plan to create an electronics project related to Internet of Things (IoT), embedded systems, and robotics. The Elegoo UNO is one of the most budget-friendly starter kits with more than 200 components. It’s a complete Arduino starter kit and a great value product. Arduino is an easy-to-use platform for learning about electronics and programming. It is a combination of hardware and software; you write code in the Arduino software to tell the microcontroller what to do. Arduino is basically a tool for building tiny computers that can interact with the physical world. With Arduino, you can build objects that can respond to and/or control light, sound, touch, vibration, and movement. Similar to a computer, Arduino can perform a multitude of functions, but it requires instructions in the form of inputs and outputs to make it useful. These inputs and outputs allow an Arduino to interact with the physical world. Elegoo is one of many companies involved in the development, production, and marketing of Arduino kits. Sagar Khillar. 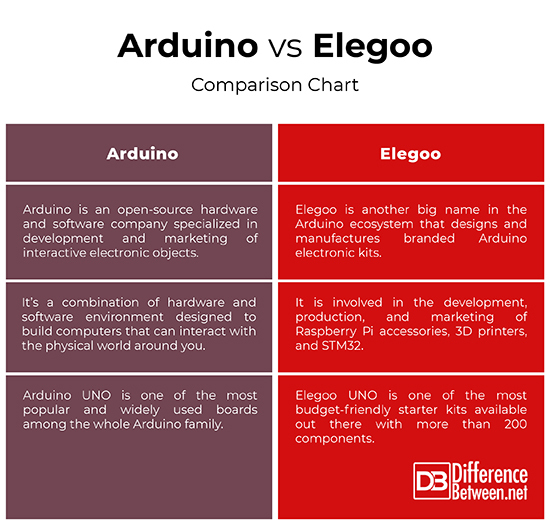 "Difference Between Arduino and Elegoo." DifferenceBetween.net. 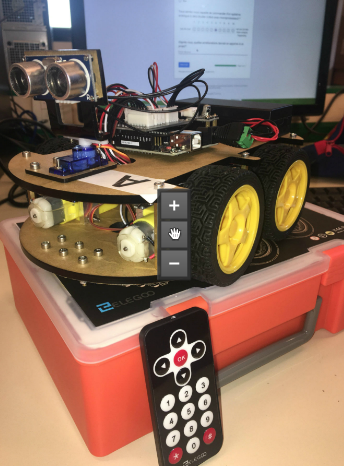 April 1, 2019 < http://www.differencebetween.net/technology/difference-between-arduino-and-elegoo/ >.